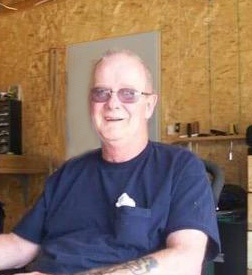 Dennis R. Blundon, age 78, of Necedah, Wisconsin passed away Monday, April 8, 2019, at Mile Bluff Medical Center in Mauston, Wisconsin. Memorial services will be 2:00 p.m. on Saturday, April 27, 2019, at the Kingdom Hall of Jehovah’s Witnesses, N3765 Hwy K Mauston, WI 53948. Visitation will be 1:00 p.m. until the time of service. Dennis was born May 1, 1940, in Milwaukee, Wisconsin to Edward and Mollie Blundon. He married Patricia Kegel on August 8, 1959, in Milwaukee. Dennis was preceded in death by his parents, Edward & Mollie Blundon. Survivors include his wife, Patty, nine children, 23 grandchildren, 11 great-grandchildren, one brother, two sisters, and many spiritual brothers and sisters. Roseberry’s Funeral Home is assisting the family. 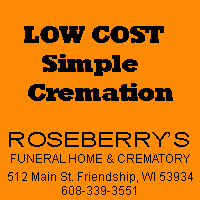 Visit www.roseberrys.com to offer the family online condolences. 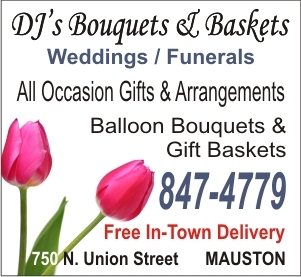 This entry was posted by WRJC WebMaster on April 15, 2019 at 10:24 am, and is filled under Obituaries. Follow any responses to this post through RSS 2.0. Both comments and pings are currently closed.